You can find a great variety of both traditional and international restaurants in Vienna. It is said that Vienna has one of the world’s biggest variety of good quality restaurants for a decent price. There are almost 3000 restaurants serving dishes from over 100 different countries. So, no matter where you are coming from you’ll be able to find your favourite food, which should certainly make you Feel Like Home in Vienna. When it comes to restaurants, everyone has a different taste and preferences for the surrounding, the location, the cuisine, the price etc. 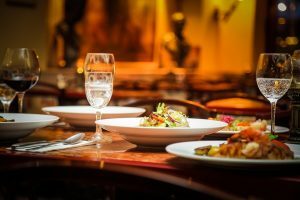 However, here we offer you three very different restaurants which are among the best places in Vienna where you can eat great food at a reasonable price! TGI Fridays- The TGI Fridays Vienna is known for the juiciest steaks and largest burgers selection of the city, delicacies from the Tex Mex kitchen, the tastiest ribs and the freshest salads. The ultimate “American feeling” is offered by cocktails in Friday’s ultimate size or cocktail pitcher – perfect for a fun evening with friends. In summer you can enjoy the unique atmosphere of Vienna sitting at their “sidewalk café” right on the Ring Straße. Nine screens provide in highest quality sport transmissions and the annual sporting events, such as the Super Bowl, Champions League Final or Europe League Finale. Vapiano- The perfect setting for a quick lunch, an afternoon break, or a pleasant dinner with friends or family. Have you tried Vapiano yet? The long oak tables in the Vapianos are an open invitation to communication—with friends, family, or simply with other guests. Conversation comes easy in good company where all are talking, laughing, and of course, having a wonderful dining experience. Pasta, pizzas, antipasti and salads are ordered directly from the chefs at the individual stations in the middle of the Vapiano. The chefs prepare all of the dishes to order in front of the guests. Everyone can have his meal prepared to his own personal preference. Favourite dishes can be created, and then individually refined. The herb garden and the fresh herbs on the tables are not just for decoration, but to offer the special taste that every dish deserves. Brotzeit– The overall concept of Brotzeit is to be a gourmet cafeteria. It uses high quality regional products to prepare creative lunch menus with great attention to detail. They provide bread delivery service with various homemade baguettes topped with ingredients from organic farms in Austria. This is a great lunch spot in Vienna with reasonable prices and tasty food. How to find the best restaurants in Vienna? Here are some useful apps and website you can use to find the best restaurants in Vienna. http://www.yelp.co.uk/wien – Here you can find reviews of almost all the Viennese restaurants. You can also find people’s opinions on shopping, nightlife, bars and cafes in Vienna. http://www.wien.info/en/shopping-wining-dining/restaurants – Here you can find general information about Viennese Restaurants, as well as an overview of the different cuisines you will find in the city. 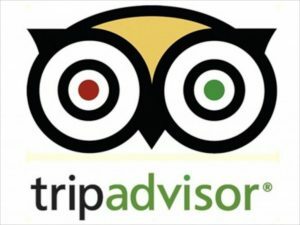 http://www.tripadvisor.com/Restaurants-g190454-Vienna.html – This is a worldwide known website for reviews, opinions and restaurants ranking. Look for a Trip Advisor sticker on the restaurants to make sure it is well reviewed one!